Fleet decision-makers are increasingly being urged to focus on “business mobility” and the overall cost of journeys and not simply the cost of vehicles. It is against that background that the UK’s premier fleet decision-makers’ organisation, ACFO, is focusing on “The Drive for Mobility” at its autumn seminar. Taking place on 19th October at the NEC, Birmingham, the half-day seminar starting at 9.30am is being supported by LeasePlan UK, a member of LeasePlan Corporation NV Group, part of the world’s leading fleet and vehicle management company. 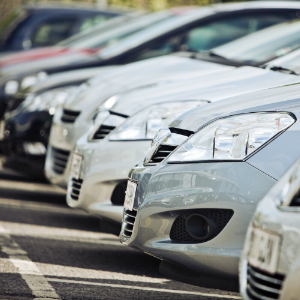 The group operates a fleet of more than 1.5 million vehicles and provides leasing and fleet management solutions in 32 countries and across five continents. Fleetondemand, one of the first technology companies to deliver a mobility as service platform dedicated to business, is also supporting the seminar. At the seminar, the findings from a unique ACFO survey relating to current corporate mobility needs and requirements will be revealed. The survey will close this evening (Friday, 23rd September). It can be accessed at https://www.surveymonkey.co.uk/r/acfo. ACFO chairman John Pryor said: “Mobility-as-a-Service (MaaS) describes a shift away from personally owned and operated modes of transport towards mobility solutions that are consumed as a service. Those challenges and opportunities will be the seminar’s focus with a range of speakers helping to interpret the survey’s findings while also highlighting their own views on how fleet decision-makers and their employers can utilise MaaS; explaining how technology is underpinning the mobility drive; and providing clarity around the potential corporate use of vehicle rental, car sharing, car clubs and public transport as well as video and tele conferencing and the continuing use of company cars and vans. Indeed, the seminar builds on ACFO’s publication, “From A to B: The ACFO Guide to UK Journey Planning”. It provides a thought-provoking basis from which public, private and voluntary sector organisations can look at just how effective – and sustainable – their existing mobility options are. The guide can be accessed at www.acfo.org. Hein du Plessis, head of product development, LeasePlan UK, who will be among the seminar speakers, said: “As a major partner with companies in the UK and globally we are witnessing growing demand for end-to-end mobility solutions, which is effectively about travel management. “Our own studies also highlight growing interest in the concept of ‘usage’, which means that assets are shared rather than owned and a tendency towards subscription-based products and services. Hamish Phillips, regional corporate sales manager, UK – Tesla. ACFO members wanting to attend the seminar should email Fiona Spencer at info@acfo.org. The event is also open to non-members. The seminar is being held as part of Fleet Management LIVE, organised by trade publication Fleet News, and taking place at the NEC, Birmingham, on 19th and 20th October.